This was great fun. 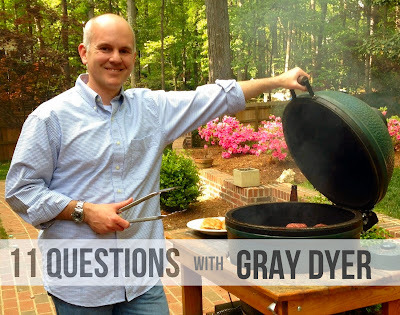 My friend, co-worker and fellow blogger, James Hogan (www.jamesdhogan.com), sat down with me to talk about food, grilling and fellowship. I had a chance to discuss what goes on when you fire up the coals and the importance of eating with friends and family. James has a wonderful blog that I encourage you to bookmark and check out often. I admire his writing; the overall visual aesthetic of his blog and the devotion he brings to his work.